I mentioned last week that there were supposed to be snakes present at Westgate Park, though I did not see any. There had also been a report of a Latham’s Snipe present on the recent bird survey and it made sense to return to look for a snake and a Snipe! I don’t normally go chasing anything and I am satisfied with whatever shows up on a day that I am out and about, but surely there would be snakes out on a sunny afternoon!! Grant was able to join me late on the Sunday and I worked out the shortest route from the city would be about 22 kilometres round trip and so off we went. The birdlife was similar to the last visit, though the Royal Spoonbills were no longer present. The Red-kneed Dotterel were not as easy to find, but a pair were present. 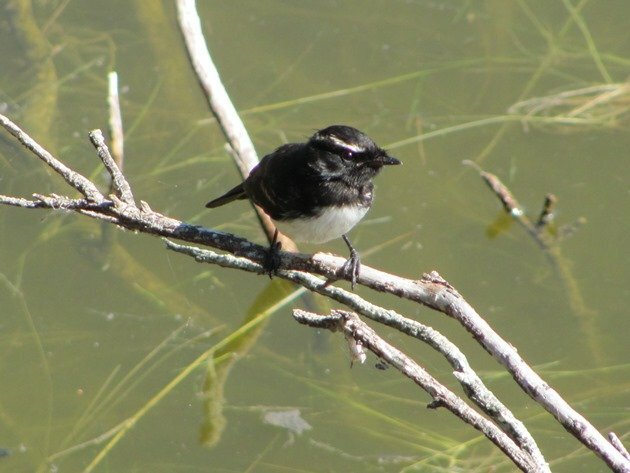 The Superb Fairywrens were showing well and there were now twenty five Black-winged Stilt on the island in the freshwater lake. 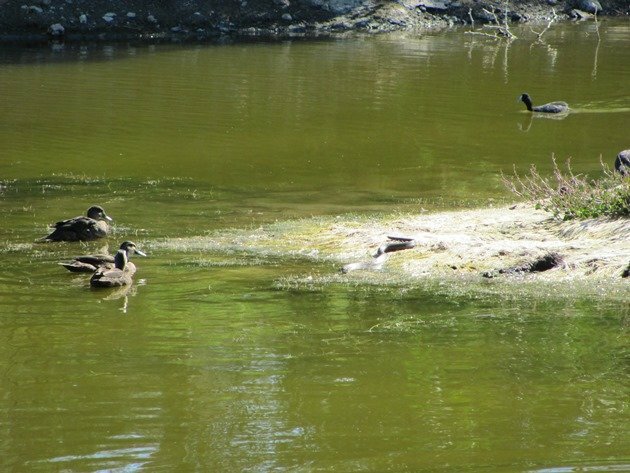 We stopped for a while at the wooden bench near the barbeque area to see the Black Swan on her nest and I noticed some Pacific Black Ducks that were interested in something on the furthest small island. 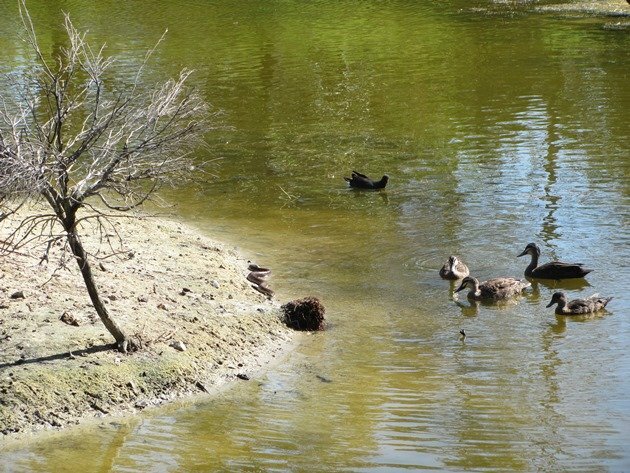 You can see in the header photo that there was interest from both the Tiger Snake and the birds. 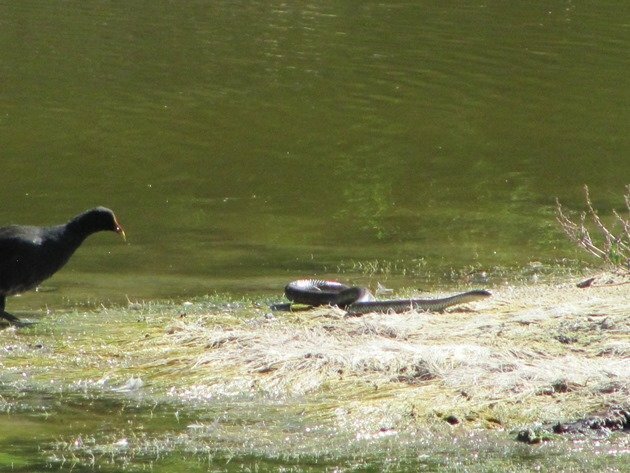 The Dusky Moorhen then moved in to have a look at the Tiger Snake as it moved off. 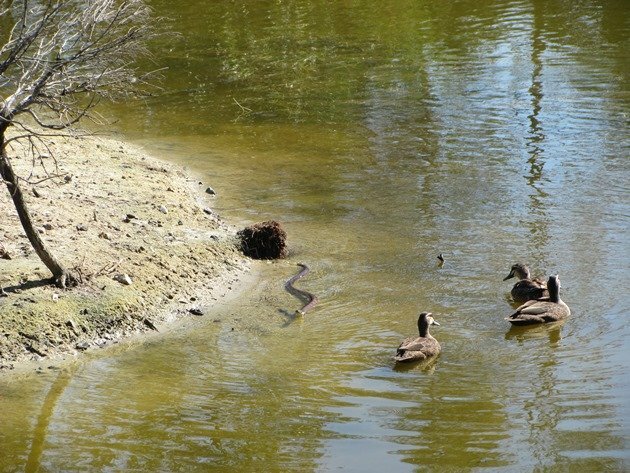 The Tiger Snake then swam towards the island closer to where we were stood and this is the island where the Black Swan was sitting on her nest. 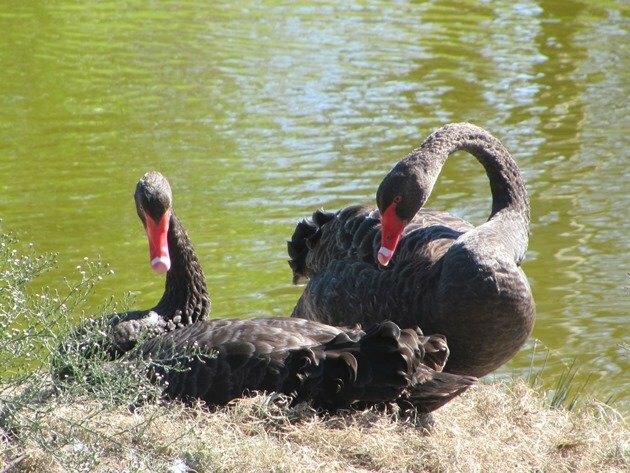 The other Black Swan then joined her and they were being very protective of the nest site. 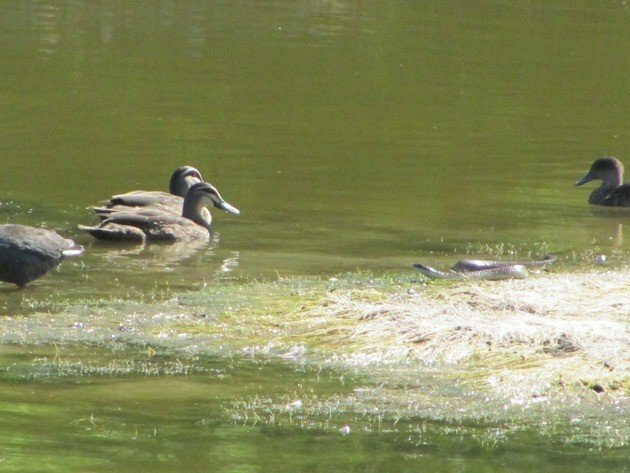 The Pacific Black Ducks and Eurasian Coot followed the Tiger Snake towards the island and watched its movements. 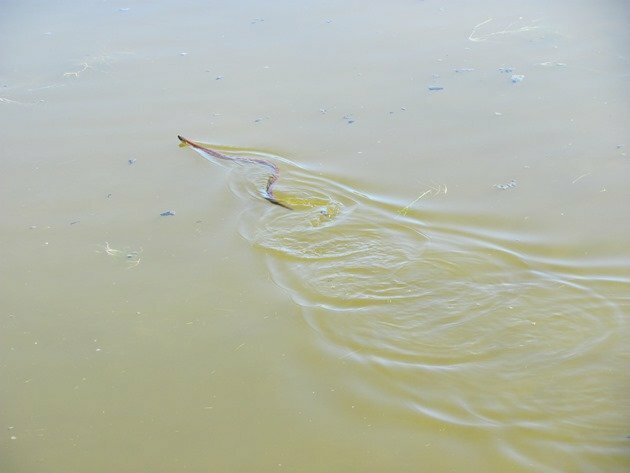 There was a lump of plant matter that the Tiger Snake then slid over and it then headed straight for where we were stood on the wooden platform just above the water level. Within moments of it reaching the ground just beneath our feet a Willie Wagtail arrived swooping at it and was not at all happy with its presence in the area. It flew back and forth at the Tiger Snake and landed just below us to rest in between frantic swooping. 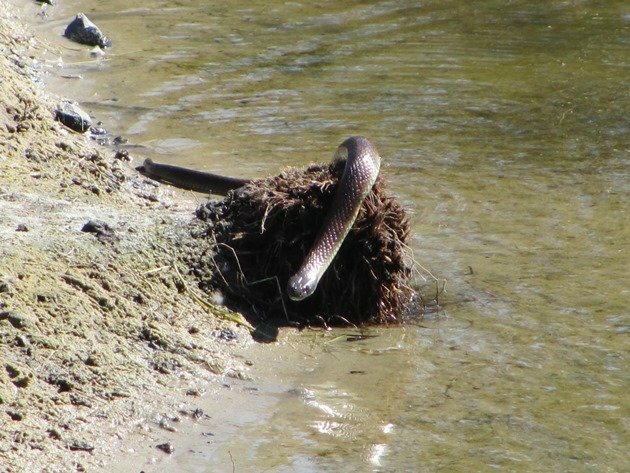 The Tiger Snake rested for a short while below us and then headed off swimming again to find a more peaceful place to spend the late afternoon. 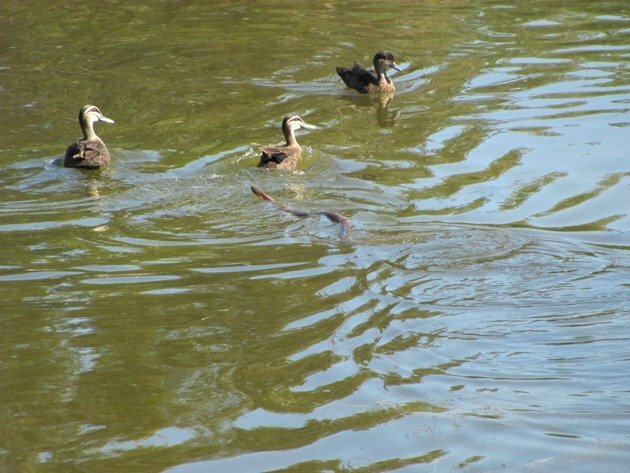 The Pacific Black Ducks and Chestnut Teal appeared more interested in the Tiger Snake than the other birds and did not appear to feel threatened at all. 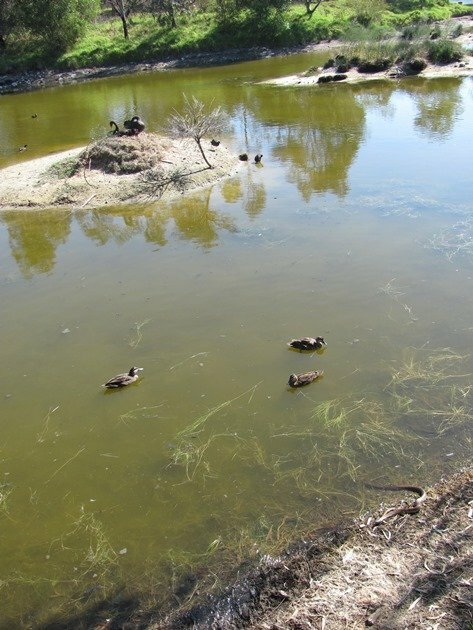 In this photo below you can see the original distant island that the Tiger Snake was at when I first observed it, followed by the second island with the Black Swans on and finally the Tiger Snake just below us. 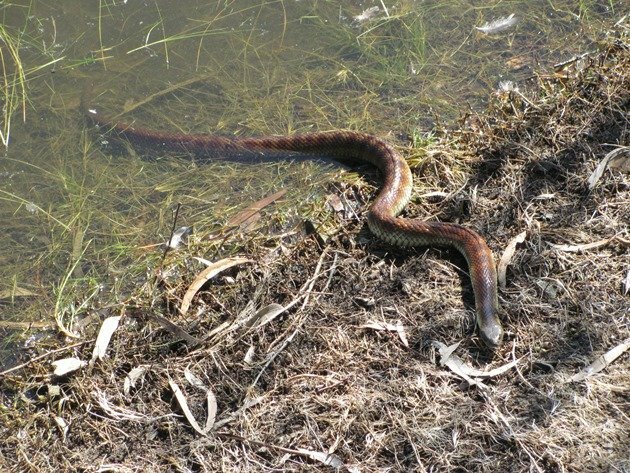 There may well have been a Latham’s Snipe there last Sunday in the late afternoon, but we didn’t see it……we were too busy watching how different birds react to Tiger Snakes! Very interesting set of photos. 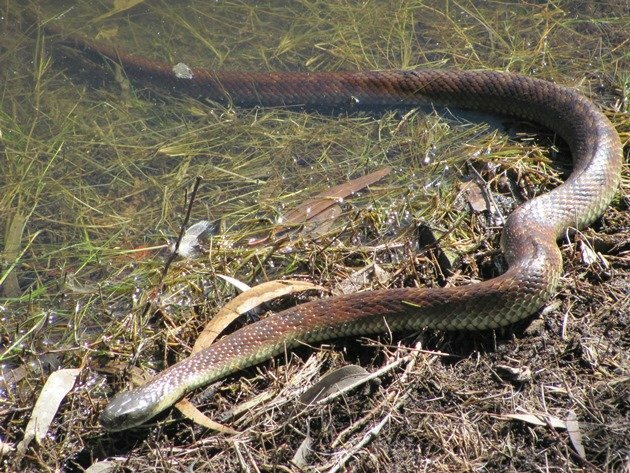 What does a Tiger Snake live on? Presumably amphibians and small mammals. 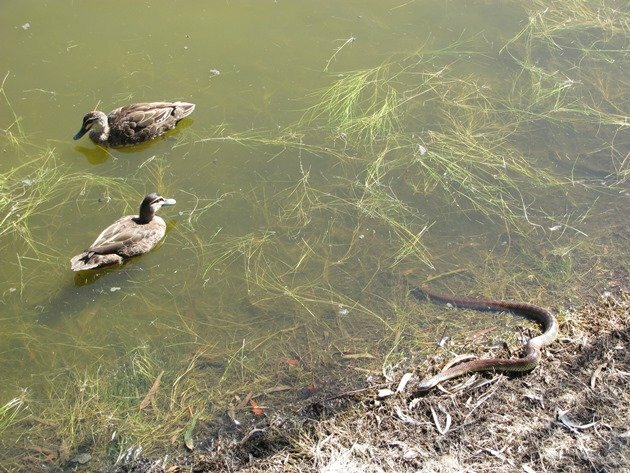 Is it any threat to birds and is it venomous? Usually frogs and they are very venomous. There’s some extra info here…. What a neat and lucky encounter! I am SO envious! !